Climate Change Levy: What’s the Score? In April 2001, a new environmental energy tax was introduced, known as Climate Change Levy (CCL). 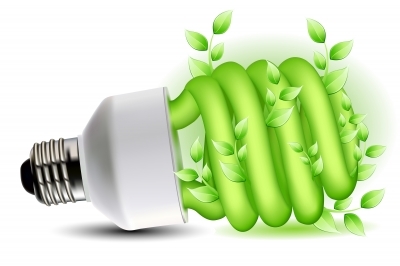 In an effort to encourage businesses to be more wary of their energy consumption, the CCL is an initiative that aims to make businesses of all sizes more energy-efficient, while common sense and energy efficient products could help them to do so. CCL is a tax that is placed on energy delivered to non-domestic users to help reduce carbon emissions, minimize environmental impact and reduce energy costs. In short, with the help of suppliers such as British Gas business energy, business owners will be hit less by the CCL if they are more considerate towards their environment and reduce the costs incurred by the energy consumption. The levy forms part of the UK’s Climate Change Program and is charged on ‘taxable commodities’, such as gas, electricity and LPG. Whether these commodities are supplied for heating, lighting or general power for businesses is irrelevant – the CCL applies to all of it, if you’re in the industrial, commercial, agricultural or public sectors. Luckily, although it’s charged on petrol, it’s not charged on road fuel due to the existence of excise duty already. As a business owner, you will see the CCL as a separate line on your energy bills. As of the 1st April 2012, the rates for gas and electricity rose to 0.177p per kWh for gas and 0.509p per kWh for electricity. While being more energy-efficient will reduce the CCL you will incur (due to less energy consumption), if you need more information about how to minimize the CCL you’re charged, you can fill in an Energy Savers Report which will advise you on what you can improve within your business to make your energy bill healthier. Even the smallest of changes can help reduce your consumption and the impact on the environment. From changing light bulbs to energy-saving alternatives, to switching electrical equipment off when not in use, can save you huge amounts over the year – particularly if you get your staff members on board. Look into energy-saving options today and implement an incentive plan to encourage your employees to join in too. You’ll notice the difference in your energy costs almost immediately.